Charles "Chuck" Bresnahan brings his expertise to the 2011 NFL Combine Prep Athletes in Florida and Ohio prior to all-star games and the NFL Combine. Chuck is currently the defensive coordinator and linebackers coach for the Florida Tuskers of the United Football League. Previously Bresnahan was the defensive coordinator for the NFL's Cincinnati Bengals. Bresnahan joined the Bengals coaching staff in 2004 as a defensive assistant coach, and was promoted to defensive coordinator on January 9, 2005, where Marshall also worked on the Strength Staff and both captured the AFC North Championship that same year. 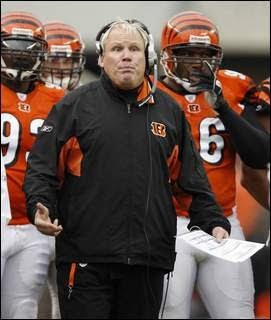 Prior to joining the Bengals, Bresnahan coached in the NFL with the Cleveland Browns, Indianapolis Colts and the Oakland Raiders where he was their defensive coordinator from 2000 to 2003.